This is sample and has never been altered. Great condition! 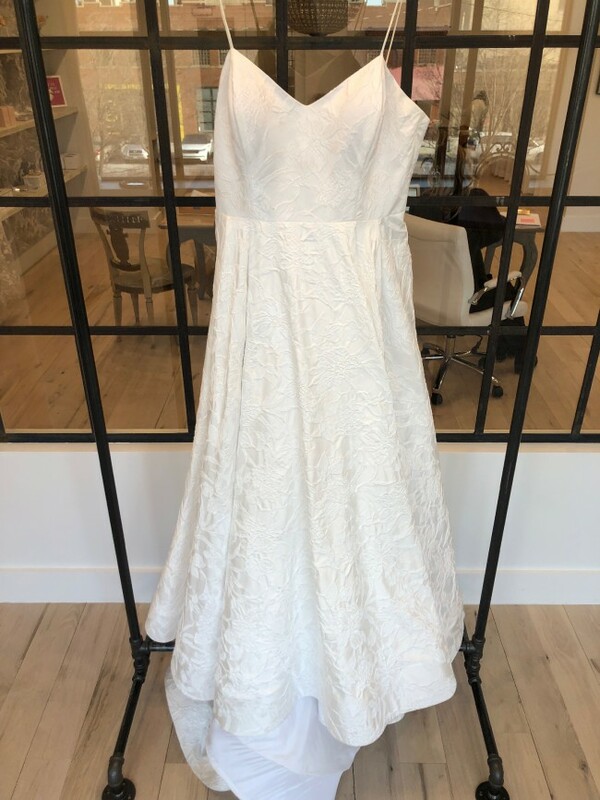 From the Rebecca Schoneveld website: Our Whitney ballgown is a favorite for its graceful silhouette and unique floral Jacquard fabric. The sweetheart bodice with spaghetti straps has light boning and bra cups for a streamlined silhouette. We adore a ballgown with pockets in the side seams, and that’s just what this ballgown has! A long train completes the luxe look. Available in Natural White.